How is Pet Food Made? Is a Cavalier right for you? 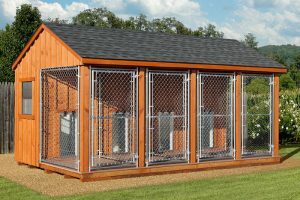 Type of kennel area that will be provided for your dog. Are the kennels protected from the weather and/or temperature controlled? Is bedding provided, or just a cement floor? If I have more than one dog, can they boarding together in the same kennel? Is fresh water available to your pet at all times? What brand of pet food does the kennel offer? Many kennels control costs by using commercial pet foods that are not the best natural pet foods. If you would prefer to bring your pet’s own food from home, will there be a surcharge? Do they have staff on hand around the clock, or only during office hours? Does a staff member supervise the dogs during group exercise at all times? Do they have a Veterinarian available in case of emergency? What documents do they require from their boarding clients (generally, proof of vaccination)? Be sure to “test drive” a boarding kennel you haven’t used in the past. A Shave or a Haircut for your Cavalier? Cavalier King Charles Spaniels – Do They Shed? Copyright © 2019 I-Love-Cavaliers.com. All rights reserved.